Don’t waste your time at a used car dealer or going through the classifieds. Sell your unwanted used, pre-owned car to Cash for Cars Northwest for instant cash. We provide free towing, friendly service, and you can get same day cash for your car. Do you have an unwanted car that’s cluttering your garage or yard? Sometimes cars just can’t be returned to glory days, no matter how much you want them to. And nobody wants to invest in a car that can’t function and just sits in a garage or yard, collecting rust. For over a decade, Cash For Cars Northwest has been Portland’s #1 source for people around the metropolitan area to sell their used, broken-down clunker car. Instead of waiting for the next person to respond to your advertisement, call Cash For Cars Northwest today! Our car removal services work quickly to take your used or unwanted car off of your hands, and then pay you cold-hard cash for it. Don’t wait–call us today! Get A Used Car Quote! Cash for Cars Northwest will pay cash for your used vehicle today. We buy all makes and models in any condition throughout the Portland, Oregon metro area. We are a licensed and bonded used car hauler in Oregon. We pay cash for cars anywhere in Portland, Vancouver and the surrounding areas. For over ten years, Cash for Cars Northwest has been paying cash for used, pre-owned, and unwanted cars all throughout Portland and the surrounding areas. Our staff is committed to no-hassle car removal services, giving you cash on the spot for your car, van, SUV, or truck. With our friendly, easy service there is no reason why you should spend the time, energy, or money trying to sell through the classifieds or to a used car dealer. Not only will you enjoy not having to go to a car dealership or spending the time it takes to do a classified ad in the paper, there are some other benefits that you can enjoy when you choose Cash for Cars Portland. The condition of your car is not an issue. 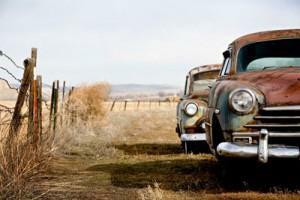 We will purchase vehicles that are in any condition, poor to fantastic. We are open every day from 8am-8pm so that whenever you want your car taken away, it can happen. We will work with you to get the paperwork ready from the DMV. As you can see, at Cash for Cars Portland, we make our customers our top priority. We strive to make the car selling process as painless as possible. If you are looking for car removal Portland services to haul your unwanted car away, contact Cash for Cars Northwest today. (503) 482-5165.